Mustang, Boss, Cobra Jet, and Shelby, Parts, Restorations and Appraisals! 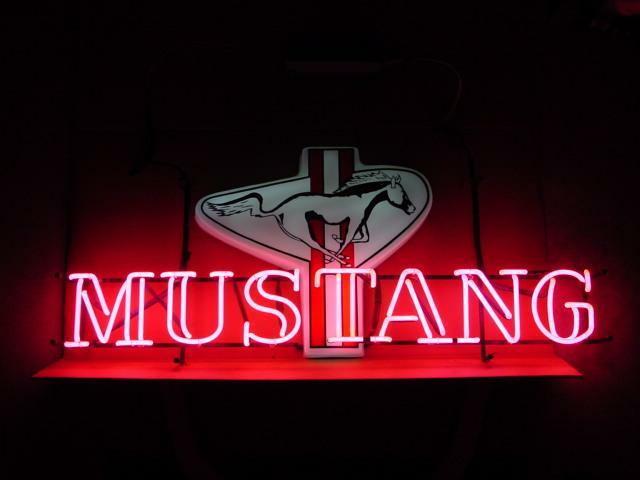 Classic Mustang parts, Classic Mustang Parts NOS, Classic Mustang Parts NORSand Appraisals! In the early 1990’s Brenda and I were married, we turned my part-time hobby for the classics into our second full-time jobs. We sold our first car part on the internet in 1997 to a Canadian customer and he is still one our customers today. By the time I retired from the Navy we had accumulated quite a collection of Mustang and Ford parts and participated in several car shows. 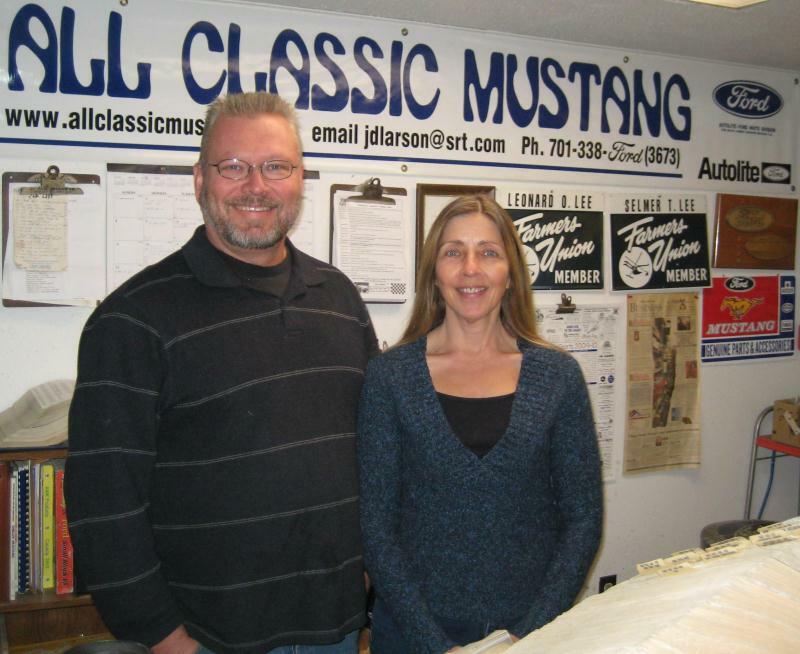 Originally known as JD Larson doing business as All Classic Mustang we have since incorporated as All Classic Motors, Ltd. and continue to provide quality NOS and original Ford and Mustang Parts to thousands of Mustang and Ford enthusiasts worldwide. We pride ourselves in providing the most authentic parts available for our customers. If your goal is to obtain the correct vintage and assembly line original parts for your vehicle we have the resources to get the job done right! Our inventory changes frequently, so check back often! My passion for classic Mustangs started over 5 decades ago at the age of 13 when my neighbor Dale Johnson took me for a ride in his 1970 Mach 1 Mustang. I’m not sure if it was the sound of the engine, the smell of the exhaust, or the fact we were going faster than I ever had before, but I wanted my own Mustang and I wanted to know everything about these amazing muscle cars. Just prior to my 16th birthday I had saved up $650 to purchase my first car. I had my heart set on a 1967 Mustang Coupe. Unfortunately, my Mom didn’t feel it was a good idea and said I couldn’t get it. I was devastated, but on my 16th birthday that same 1967 Mustang Coupe pulled into the driveway with my Mom behind the wheel. What a surprise and what a great birthday! Right after I graduated high school I joined the Navy and for the next 22 years I had the opportunity to travel the US and abroad. It didn’t seem to matter where I was in the world, Mustangs, Shelby’s and Boss Cars were like speaking a universal language. During my years of service I spent much of my spare time buying, restoring and selling Mustangs. 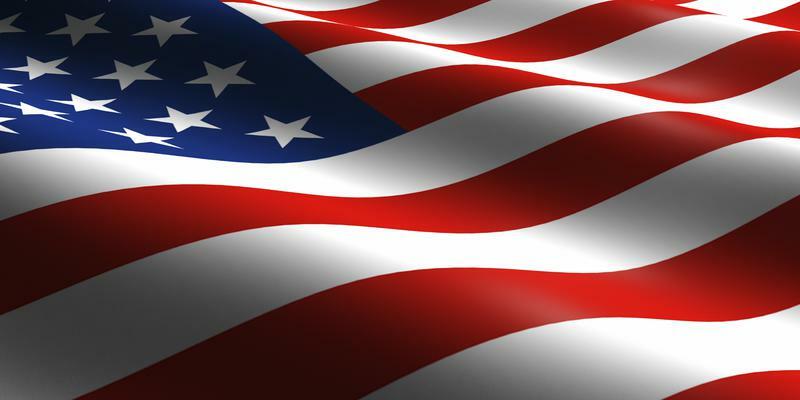 It was a great supplement to my military income and it was what I loved to do! JD is a Mustang Club of America certified Judge for 67/8 , 69/70, 71/3, 302 Boss, 351Boss and 429 Boss. We also have in-depth experience on the 64 ½ models. We may not know everything, but we can almost always find the right answer.